On Saturday, October 7th, AMAR U.S. hosted a very successful donor dinner supporting our newest Primary Health Care Center in Bazwaya, just east of Mosul. The evening also served as a kick-off for the establishment of an AMAR U.S. Supporters Circle for the Virginia, Maryland, and Washington, DC region. 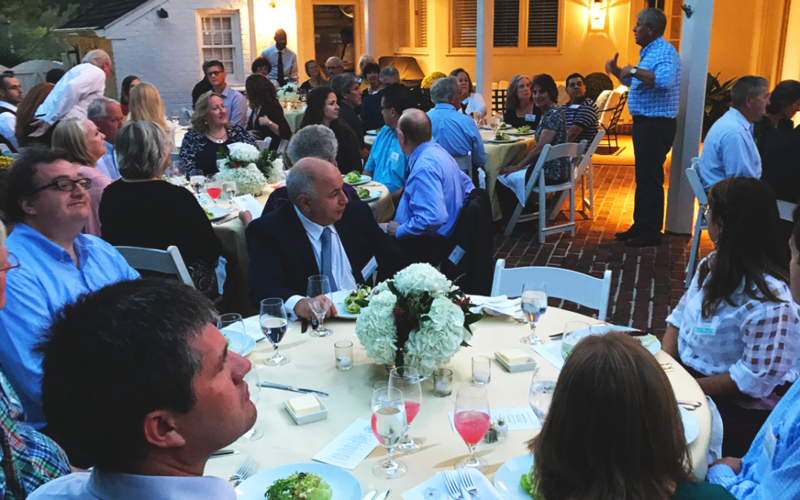 AMAR supporters Brent and Meg Pratt graciously offered to host the donor gathering at their home in Potomac, MD. Over 60 guests attended, including both long-time and new AMAR supporters. The goal of the dinner was to raise funds for AMAR’s newest Primary Health Care Clinic, in Bazwaya, just east of Mosul. Once opened this Primary Health Care Clinic will serve approximately 15,000 people in the immediate area, including those travelling to the region from more rural communities. The community in Bazwaya remains isolated, as it is smaller, lesser known, and outside of Mosul. Those returning to Bazwaya are just starting the rebuilding process, and AMAR’s Primary Health Care Clinic will provide much needed healthcare for the community. AMAR Founder, Baroness Nicholson of Winterbourne, attended the event and offered a first-hand perspective on AMAR’s work in Iraq, and the ongoing challenges that internally displaced families face. Baroness Nicholson was introduced by longtime AMAR supporter and AMAR London Board Member Sharlene Hawkes, who offered an overview of AMAR’s work in Iraq for the last 25 years. The evening also included a question and answer session with Baroness Nicholson, where guests learned more about AMAR’s work in specific regions and communities. 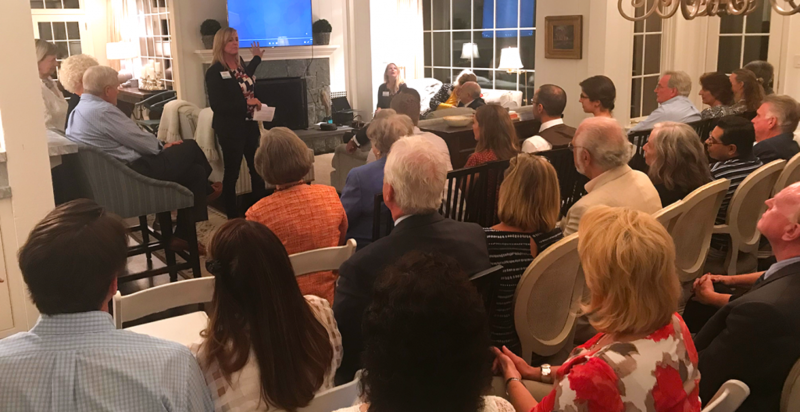 Overall the event raised nearly $20,000 and we are incredibly grateful to our incredible supporters, who came to this event and offered their support for our clinic. Your support continues to help us rebuild lives and restore hope throughout the Middle East. Thank you, thank you, thank for all that you do!